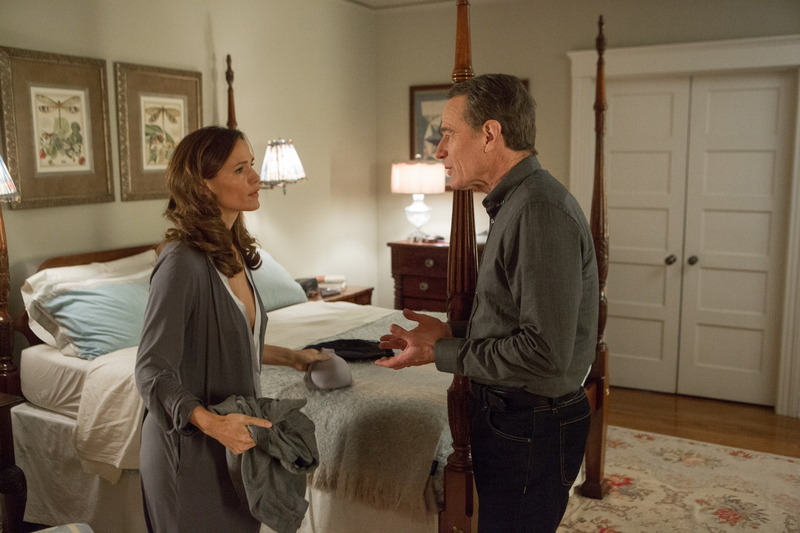 (l-r) Jennifer Garner as Diana Wakefield and Bryan Cranston as Howard Wakefield in WAKEFIELD. ©IFC Films. CR: Gilles Mingasson. Narrated throughout by its title character, who spends most of the movie observing his unknowing family from a solitary hiding place, the no-frills “Wakefield” often feels as if it could have been staged as a single-set one-man show without too many alterations. When the calmly unhinged everyman doing the lurking is the always appealing Bryan Cranston, however, that definitely is not a bad thing. Cranston (“Breaking Bad,” “Trumbo”) is unforgettable as the insecure, self-centered and suspicious Howard Wakefield, a New York lawyer who decides on a whim to take an unusual break from his unsatisfying personal life and unfulfilling professional responsibilities. Awakening in the windowed attic above his detached garage, after intending only to wait there until his family was in bed the previous night so he wouldn’t have to deal with them after coming home from work, Howard resolves to disappear from his life by secretly taking up residence there. Through Howard’s stream of consciousness voiceover narration and unselfconscious habit of talking to himself, we learn how he deceitfully courted and won his beautiful former-dancer wife (Jennifer Garner), the mother of his two indifferent teenage daughters. Fifteen years of marriage seasoned with jealousy, bitterness and resentment have left Howard so bored and frustrated that living like a scavenging hermit is preferable to walking through the front door of his house again. While the story’s premise brings to mind the 1989 Gary Busey suspense thriller “Hider in the House,” the tone here is that of a thoughtful (if perhaps overly literal) metaphor for domestic dissatisfaction and alienation. 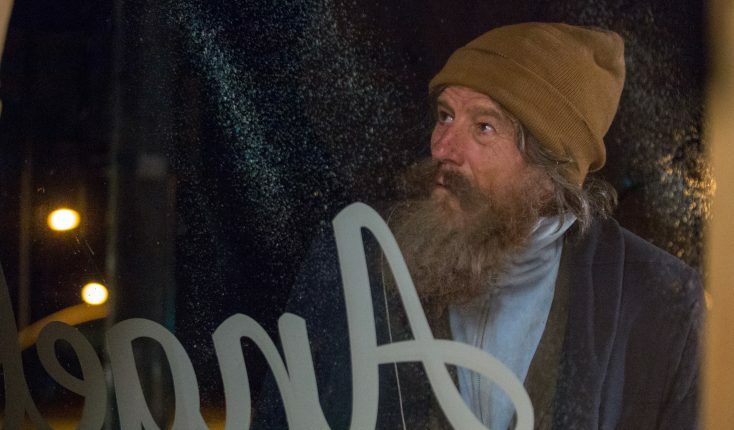 Howard’s loneliness and detachment from the life he found intolerable make him soul-searchingly reflective and unexpectedly appreciative of what he has given up, as his appearance, health and sanity deteriorate. At the same time, each passing day makes it tragically harder for him to imagine any way to escape what he refers to as the prison he has created for himself by his unexplained and lengthy disappearance. Most of the scenes featuring Howard’s wife and daughters play like a silent movie. That’s because we see their activities from Howard’s point of view, where he usually can’t hear what they’re saying. Garner is silently radiant as the kind of effortlessly lovely upper-middle-class wife that Howard may know he doesn’t really deserve. She also is good at wordlessly conveying initial wifely worries about her husband’s absence that give way to getting on with her life a little sooner than Howard would have liked. Cranston is so good at making us care about the casually amoral Howard that it’s impossible not to feel grudging sympathy for him, especially when he realizes that he may have taken his “pause” from reality too far. The movie’s tone eases smoothly from Hitchcockian black humor (Howard’s improvised impressions of the dialog he imagines visitors to the house saying, and his catty running commentary about their motivations, are priceless) into real poignancy (as Howard’s increasing self-honesty makes him more enlightened about his faults). “Wakefield” is interesting and well-acted enough to survive those flaws, however, making this fascinating little morality tale one that’s well worth seeking out. “Wakefield” will be in theaters Friday, May 19, and available on VOD Friday May 26.